Sally Hansen has a new line of nail polish called Color Therapy, which cares for your nails while you wear it. There is an argan oil formula that will give intensive nourishment and instant moisture for healthy nails. You will find 38 different shades in the collection and I have a look at 4 of them. See more swatches below! 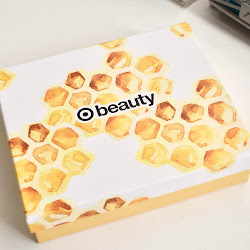 Today I have a look at what's inside the new Beautycon box for winter 2016. This box was curated by Youtuber Dulce Candy, and it has a nice selection of beauty products. I always love what the Beautycon boxes have in them since you get a lot of different products to try. You can subscribe to the box by either signing up for annual or seasonal. I have more info and a look at what's inside below! This month's Play! by Sephora Box has many products to get you ready for celebrations and helping to keep you looking your best all night long. I was really excited to see what was inside since there are products I haven't tried yet. 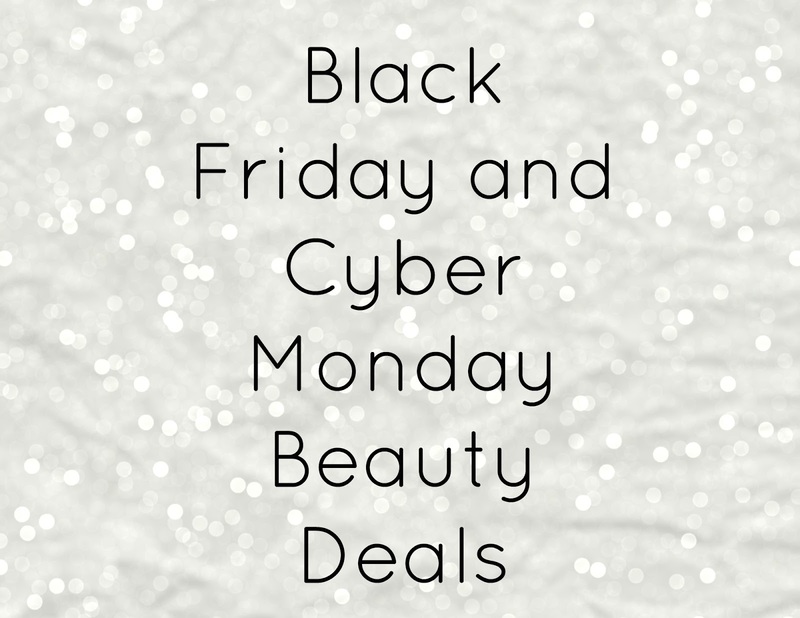 You will find brands like Bobbi Brown, Drybar, Urban Decay, and more in the December box. Find out what was inside below! This is a sponsored post with Solomomo. All opinions are honest and my own. There is a new skincare system that can evaluate your skin and give a personal analysis right in the comfort of your home. The Solomomo Skin Wand can help to tailor what products you need and it only takes minutes to get a result. You will be able to see your problem areas and what might be needed to improve the skin. Find out more below! The Allure Beauty Box is an editor-curated box that you can get delivered every month. It comes with hand-picked deluxe sized product samples from different brands. The products range from makeup, skincare, hair and/or fragrance. Find out more about what's inside this month box below! Today I have a look at one of the new products for spring 2017 from Maybelline. It is The 24k Nudes Eyeshadow Palette which comes with 12 jewel-toned shades ranging from mattes to shimmers. I was really excited to try it out since Maybelline had mentioned how they are going to reformulate their shadow formula including this palette. So I was curious to see how much better they were going to be and if they would be softer and more pigmented. Find out my thoughts on this below! Pixi Beauty has some new products that are great for the holidays, including this face palette that comes with everything you need. It has some gorgeous rose, creme, and taupe shades to enhance any look you are wanting. The palette comes with 8 eye shades, 3 brow shades, 3 face shade, and a duo applicator. Find out more and see swatches below! Today I have a review of the e.l.f. Beautifully Precise Precision Sponge Trio. It comes with 3 different sized sponges that are made to be durable and are latex free. I expected these to be hard or difficult to work with, but they are the opposite. They can be used for all areas of the face and with cream, liquid, and powder products. Find out more about this trio below! Winter Fest OC - Winter Family Fun + Ticket Giveaway! This is a sponsored post with GigaSavvy. Winter Fest OC is happening soon and it is the perfect time to have some winter fun with family and friends. This year's event is going to be bigger than ever, offering more fun, more food, and an amazing lineup of holiday entertainment. Winter time in SoCal is so different since snow is not easy to come by, but Winter Fest is a great way to have the best winter experience possible. Find out more below and how you can win tickets! It's time to check out what's inside this month's Popsugar Must Have Box. There are some essential products to get you ready for the holidays and entertaining. I have really enjoyed many things in the November Box and they have all been so useful. Find out what was inside below! Today I have a look at the Too Faced Funfetti 5-Piece Collection. This set is currently on HSN's website and it has 5 products that are great for a fun look for day and night. There is an eyeshadow palette, blush, mascara, gloss and mini brush. I was so excited to get my hands on this collection to try out all of the shadow shades and the lovely blush. Find out and see more swatches below! I have a quick post just to share some Black Friday and Cyber Monday beauty deals. There are going to be great deals that you need to take advantage of. I will update with more brands and discounts when I find out about them. Take a look at what will be on sale below! 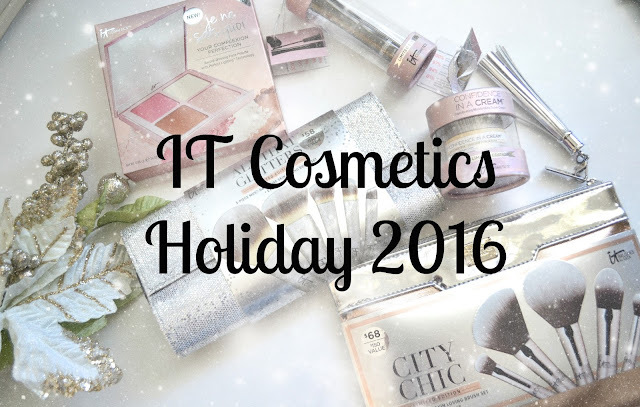 Today I have a look at what's new from IT Cosmetics for the holidays. These sets are gorgeous and have everything you need to gift them to anyone that loves beauty products. IT Cosmetics has a new face palette, brushes and some cute ornaments. They will be on everyone's wishlist. Find out more about each one below! There is a new exclusive six-piece collection from IT Cosmetics that comes with everyone's favorite IT products and a new foundation brush. The set covers everything from face, lashes, brows and lips. This is an amazing collection with products that are going to be used daily. You can pre-order this now or see it on the air with QVC this Saturday. Find out more below! Hard Candy has some new makeup sets for the holidays which are always available at Walmart. The Eye Essential Collection comes with 2 eyeshadow palettes, 3 brushes, and a small pouch. This is the blue set and there is also a pink set. Makeup sets during the holidays can be good or bad, so I wasn't sure what to expect for the quality of the shadows. See more about everything below! ChapStick now has a new lip scrub that will exfoliate and smooth lips while keeping them moisturized. I recently found this at Target and I decided to give it a try. I love a good lip scrub and I use them all the time. This one is fresh peppermint which I actually prefer in a scrub. This is probably the best drugstore lip scrub there is. Find out more below! Thoughtfully is a way to send a special gift to friends and family that will make a lasting impression on them. There are different gifts to choose from for different occasions. Today I have a look at the Apple Pie Love Story An Apple Pie Lover's Gift Set. This would be perfect for the baker in your life or anyone that loves sweet treats. Find out more below! NYX Cosmetics has you ready for the holidays with this huge set of Soft Matte Lip Creams. It comes with 36 shades that range from every color you will ever need on in your makeup collection. If you already own a few of these and love them, then you will love having a full set. They are mini sizes but there is still enough to have fun with all the shades. See swatches and more below. Today I have a look at what's inside this month's Play! by Sephora box. This is my second box and I have been really loving the samples so far. 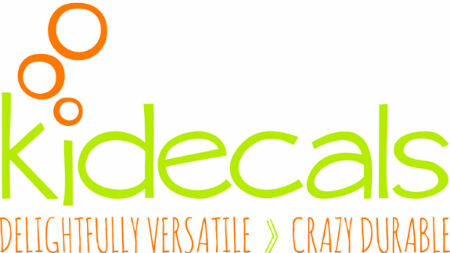 The theme for October is "The Cool Cut" which has products that stand out and are must-haves. Find out about the products inside my Play! by Sephora below! 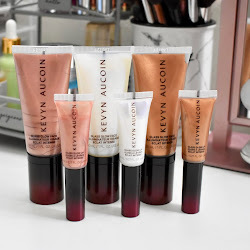 Milani has released some new shades of their Amore Matte Lip Cremes. There are 10 new colors to choose from and I have a look at three of them. The shades I have are Sweetie, Fixation, and Magnetic. 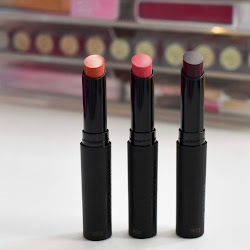 I have tried Milani Amore Matte Lip Cremes in the past, and they are pigmented and long lasting. They have a great formula and I love the shade range there is. See swatches of these below. The school year is now in full swing and I am one to make sure all of my daughter's school supplies and clothing are labeled. There have been a lot of times in the past when she has lost things at school and it always helps to have everything with labels on them. It just makes the school year go by with ease and I don't have to worry as much. Kidecals are simple to use and they come in a variety of sizes and styles to choose from. See more below! Starting now and running though the close of 2016, Citadel Outlets will be home to the world’s largest bow and world’s tallest tree. It might seem early for holiday decorations, but it takes time to get everything just right and ready in time. Find out more info below! Wet N Wild Gold Bar Highlighting Powder - Photos + Giveaway! Wet N Wild has a new highlighting powder that seems to be something everyone has been looking for. I was also looking for it at several Rite-Aid stores with no luck, until they finally had it available on the WNW website. I ordered it quickly before I sold out and I'm happy that I did! It is a gorgeous gold highlight that is soft and pigmented. Find out more below and how to win your own! Sephora has so many sets out right now and they are a great way to try out different products. This is the Glow For It Kit which comes with 6 ways to achieve radiance and glow to the skin. I have only tried one product from this kit before (Benefit Watt's Up! ), so I was excited to be able to try some new products. Find out more about everything in this set below. Today I have a look at some of the powder blushes from HAN Skin Care Cosmetics. 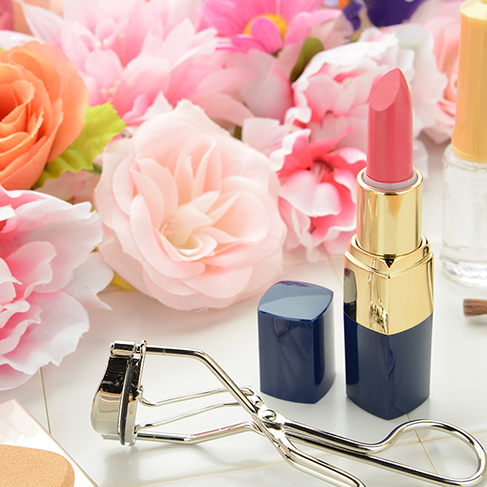 They are one of the purest, most natural cosmetics line having makeup with skin care ingredients. Their products are great for all skin types and made in the US. They have cosmetics for eyes, cheeks, and lips. Find out more about the pressed blushes below. 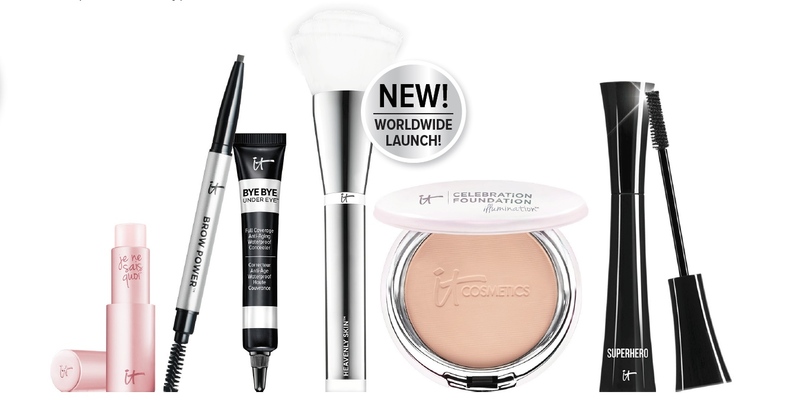 IT Cosmetics has a new line of skincare products that are exclusive to Sephora. Today I have a look at some of the collection and the products I have been getting the most use out of. There are so many quality products in the collection that really bring out the best in your skin. I have had a great experience with all of the products so far on my dry skin. Find out more about theses Sephora exclusive products from IT Cosmetics below. Today I have swatches of the e.l.f. Clay Eyeshadow Palette in Saturday Sunsets. These shadows are infused with Kaolin Clay to help keep the color in place to last longer. The palette comes with 5 eyeshadows and they all work well together. Saturday Sunsets has more neutral shades with a pop of pink and orange. Find out more about it below and see swatches. Today I have a look at what's inside the fall Beautycon box. The fall box was curated by Angel Merino and MakeupShayla. There are so many beauty products that you get in these quarterly boxes. You can decide on which payment plan you want, either seasonal or annual. 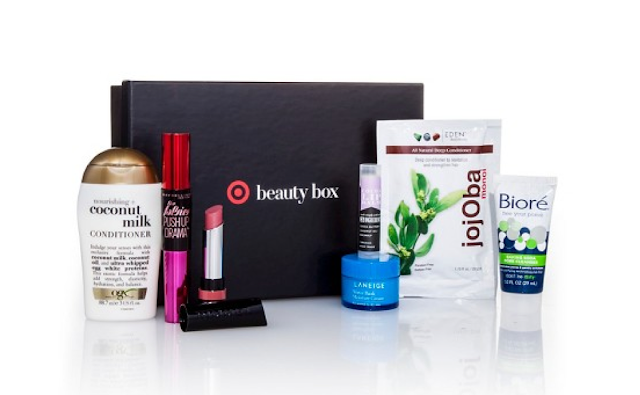 The box has a lot of great beauty products to try out. New subscribers will also receive a bonus box! I have more info about what's inside below. Farmhouse Fresh has some new travel-friendly sets of their bestselling creams, masks, scrubs, and oils to take on the go. There are three sets which are Sweeping Softness, Skin Saviors and the one I have that is called Quick Recovery. Find out more about this set below! This Saturday October 1st, Citadel Outlets will be having their annual Shopping Extravaganza event for the 11th year. It is a shop for a cause event, where local non-profit organizations participate and $25 of each $35 tickets goes directly to the charity you choose. Your ticket purchase gives you so many great things to do like exclusive discounts, wine tasting and more. Find out more info below! Play! by Sephora is the beauty subscription box that comes with 5 deluxe samples for just $10. I had been waiting a while to get an invite, so once I did I decided to try it out. The September box is my first, and it is all about the basics. 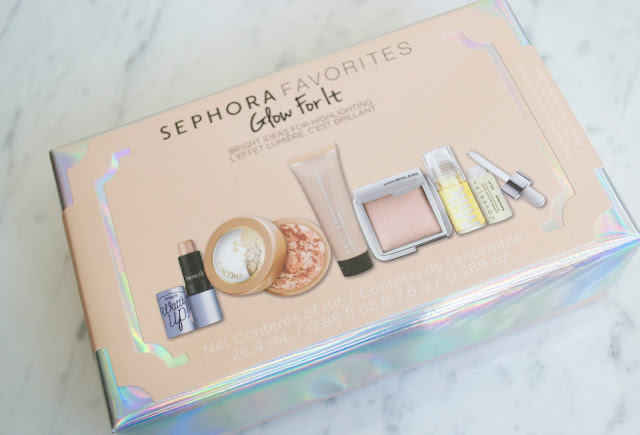 Mainly products that are must haves and favorites from Sephora. Find out more and my thoughts on this month's box below! Today I have a look at what's inside this month's Popsugar Must Have Box. I was excited to see that there are many products perfect for fall and that are great for daily use. There are 6 products in the box this month and I have already found use for all of them. Find out more about these products below! This has been my go-to product all summer and it has definitely been one of my favorite face products. The IT Cosmetics Your Skin But Better CC Cream gives full coverage while still being a lightweight formula. There is an SPF 50+ to protect the skin from harmful rays of the sun. I have swatches of all the shades, and there are 5 shades to choose from. Find out more on my thoughts below! There are so many new makeup sets coming out for the holidays, and this lipstick palette from Urban Decay is a great value. It comes with 12 lipstick shades that range from neutrals and picks, to darks and reds. I don't own too many of the new UD lipsticks, so this is a great way to try out a bunch and I will get use out of all the shades. Find out more about this palette below! Today I have a look at an eyeshadow palette from Wet N Wild that is perfect for fall. It has the right amount of light and dark shades that are pigmented and easy to blend. The palette comes with 10 eyeshadows and they range from shimmers to mattes to satins. I was really pleased with this palette and the colors definitely remind me of fall. See more photos and swatches below! I have an amazing giveaway to share with you to start the fall season off right! Myself and other fabulous bloggers have teamed up to offer an awesome prize that everyone will love. You can choose between a Sephora or Target gift card, and there will be two winners. Find out how to enter below! 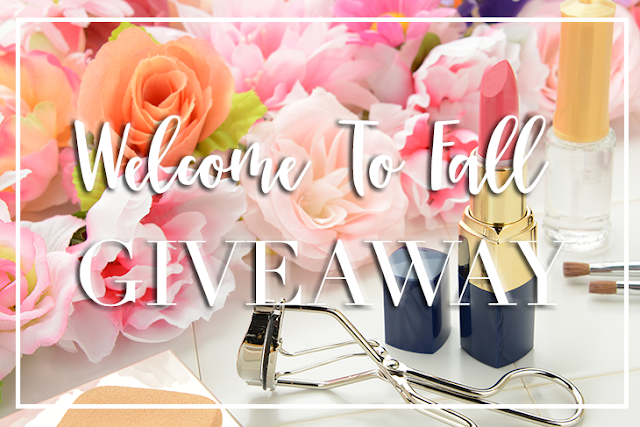 How to enter: Use the Rafflecopter widget below and follow me and all of the other amazing bloggers! There are so many ways to enter, but you can possibly split up entering into one or two days so that you don't miss any chances. The giveaway ends on 9/27/16 at 12 AM EST. Good luck! Today I have a look at a new product that is new for fall from Hard Candy. The Glamoflauge Mix-In Pigment Makeup Drops are made to add to any primer, moisturizer, or foundation for coverage or shade. I was so excited to try these, since I had a feeling they could possibly be a dupe for the Cover FX Custom Cover Drops (which I own and have used in the past). Find out more about these and a comparison to the Cover FX ones below! Today I have a look at some products from The Estee Edit. I have been wanting to try products from this line and I finally have a chance thanks to Influenster. There are products that I really ended up loving and have been using on a daily basis. Find out more on these below! Today I want to share a few of my favorite products from Derma e. If you don't know much about Derma e, they are a skin care line with natural formulations that have vitamins, antioxidants, and botanicals. You might have noticed recently that Derma e is now at Target. They have a great selection of products that are for all kinds of different skin care needs. Find out more about these three products that have been amazing for my skin! The FOREO Luna Mini 2 Save The Sea has a way to help support some amazing organizations while keeping your skin clear and clean. This skincare device is effective at removing dirt and oil on the skin by using the T-sonic pulsations. I have noticed that the FOREO Luna Mini 2 has a great comfortable fit when holding it and is gentle yet effective at cleansing the skin. Find out more info on this special edition device below! EOS has two new lip balms that now come with shimmer and a look to the packaging. There are two shades to choose from: a sheer pink and a pearl. I picked up the Pearl since I figured it would give a good shimmer to my lips and hopefully keep my lips moisturized. Find out more below! Milani has these eyeshadow palettes that come with 6 eyeshadows and a small dual-ended brush. The collection I have is Earthy Elements and it has gorgeous shades that are perfect to wear into the fall season. All of the shadows are pigmented and easy to blend. See swatches and more below!